Comodo is an industry leader in products and services for Identity and Trust Assurance services on the Internet. 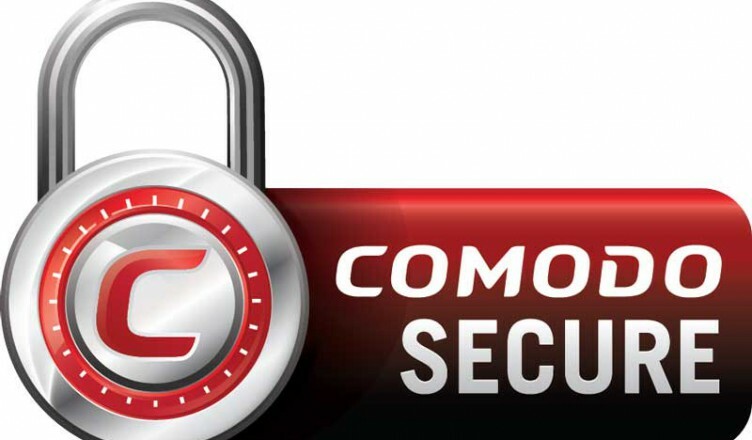 Our main focus here will be on the Comodo SSL (Secure Sockets Layer) products. Comodo is a privately held company that was founded in 1998. Their computer software and SSL certificate products have become globally recognized as some of the best available. In 2008 Comodo was noted as the second largest distributor of business validated SSL certificates behind VeriSign. According to their website the Comodo threat prevention products have been installed more than 10,000,000 times. One of the biggest concerns with online business transactions is security. People are very reluctant to provide any type of personal information through the Internet because of the likelihood/probability that it could be intercepted by an unknown third party. That is where Comodo’s products become essential. Ecommerce websites have become a huge industry and providing secure transactions is an absolute necessity for any business that hopes to be successful online. What this means for you as the user is that whether you are a large highly regulated company or a small internet-based company, Comodo has the products and services that are right for your company’s needs. If you are a small web-based business you don’t need to spend hundreds of dollars for a top level SSL certificate, a basic SSL certificate for a single domain will adequately protect all your business website needs. For a large 500 corporation the regulations are different they have a whole set of standards and protocols that they have to meet. Comodo’s business experience gives them first-hand knowledge of what the rules and regulations are and has products that are designed specifically for the individual user. Anyone in the financial industry understands that financial institutions have very strict regulations of their own. Comodo serves hundreds of financial service institutions worldwide and has developed very specific digital SSL certificates to protect different types of financial institutions. At Comodo they are constantly working to create new products to meet the ever changing demands of the financial industry. Another big client for Comodo includes private and public education facilities. From school districts to major universities security is an issue. Not only for admin but for teachers and students using the Internet as a teaching and learning medium. Both the Digital SSL Certificates and Endpoint security provide complete protection for any size school district or university. And of course for government agencies security has to be top priority. In today’s environment this has never been more important or more challenging. Comodo has proven that they are up to the challenge and already provide hundreds of national, state, and local government agencies with the best security available. Comodo SSL Certificate offerings are tricky to figure out bevcause they are presented differently in the listing at Comodo.com than they are in the listing at instantssl.com. Since the listings are more extensive at instantssl.com, I’ll mainly share those with you, adding information from Comodo.com only when it is different. A free 90-day SSL Certificate is useful for testing your website or server before going live. The free certificate is trusted by 99.3 percent of browsers and is a version of the Essential SSL Certificate. It provides domain validation.It provides 128/256-bit encryption. The Essential SSL certificate provides only domain validation (not the business that runs the domain), which requires no paperwork. It comes with a $10,000 “relying party” warranty, has 99.3% browser recognition, and may be used on an unlimited number of physical servers. It may cost as little as $65.80/year. It is not recommended for emerchants, for whom the business authentication is key to customer trust. The Instant SSL certificate includes full business validation and is made for intranets and websites. It includes HackerGuardian Vulnerability Scan, and is issued within 2 days. It is trusted by all major browsers, has a $10,000 relying party warranty, a 30-day refund policy, and can be used on an unlimited number of physical servers.It may cost as little as $69.80 per year. Comodo does not (as Thawte, GeoTrust, and VeriSign do) provide a side by side comparison of their different SSL certificate offerings, so one has to read through all the details and hope to spot the differences. The instant SSL Pro Certificate differs from the Instant SSL Certificate in seemingly only two ways: it comes with a $100,000 warranty and the cost per year starts at $169.80. Again, there’s no clear statement of the differences, but it seems that the Instant SSL Premium Certificate differs from the Pro version in having a $250,000 warranty and having a per/year cost starting at $229.80. Listed only on Comodo.com, not Instant SSL, the Wildcard SSL certificate covers multiple subdomains under one business-validated certificate with strong encryption (128/256) that is broadly trusted (99%+ of browsers), and comes with a $1,000,000 relying party warranty. The starting cost is $779.80/year. It’s not clear why this is listed as “premium,” since while being like Wilcard SSL in every other obvious respect, Premium SSL Wildcard Certificates offer only a $250,000 warranty and have a lower starting cost than the simple “Wildcard SSL Certificate”—$619.80/year. This offering appears only on the Instant SSL site . . .
Also listed only on the Instant SSL site, Comodo SGC Wildcard Certificates employ Server-Gated Cryptography, which allows older browsers that would otherwise be restricted to 40-bit encryption to use 128/256-bit encryption. The warranty is $250,000 and the pricing is in line with Premium SSL Wildcard (without SGC), but not Wildcard SSL, coming in at a starting cost of $659.80/year. Listed only on the Comodo site, it’s not clear where this fits into the line-up. The Comodo Elite SSL Certificate provides a business-validated certificate for a single domain (with or without www) and offers a 30-day money-back guarantee, 128/256 bit encryption, and a $500,000 warranty, for a starting price of 179.80/year. Listed only on the Instant SSL site, the Comodo SGC SSL Certificate is business-validated and employs Server-Gated Cryptography, which allows older browsers that would otherwise be restricted to 40-bit encryption to use 128/256-bit encryption. The warranty is $250,000 and the pricing starts at $299.80/year. The EV SSL Certificate is Comodo’s least expensive Extended Validation (EV) Certificate, providing you with the green bar, which is licensed for an unlimited number of physical servers, has a 30-day refund period, and comes with a $250,000 warranty. Prices start at $359.00/year. Presumably this add SGC capability to the EV SSL package, with a price starting at $474.00/year, but no warranty amount is listed. Also referred to as MDCs (Multi-Domain Certificates) the Multi Domain EV SSL Certificate provides you with the green bar that indicates an Extended Validation process has been undertaken, and includes SGC. The warranty is $250,000 and you can specify as many as 100 domains in the SAN field (Subject Alternatve Name) on the certificate. The starting price is $809.10 per year.